Other photos: Photo 1, Photo 2, Photo 3, Photo 4, Photo 5, Photo 6, Photo 7, Photo 8, Photo 9, Photo 10, Photo 11, Photo 12, Photo 13, Photo 14, Photo 15, Photo 16, Photo 17, Photo 18, Photo 19, Photo 20, Photo 21, Photo 22, Photo 23, Photo 24, Photo 25, Photo 26, Photo 27, Photo 28, Photo 29, Photo 30, Photo 31, Photo 32, Photo 33, Photo 34, Photo 35, Photo 36, Photo 37, Photo 38, Photo 39, Photo 40, Photo 41, Photo 42, Photo 43, Photo 44, Photo 45, Photo 46, Photo 47, Photo 48, Photo 49, Photo 50, Photo 51, Photo 52, Photo 53, Photo 54, Photo 55, Photo 56, Photo 57, Photo 58, Photo 59, Photo 60, Photo 61, Photo 62, Photo 63, Layout. PLEASE CALL OR EMAIL FOR LATEST PRICE. From the beginning of this model's design process, the Hatteras product development team has focused squarely on performance and fishability as top priorities. As such, the new 60 Convertible represents a paradigm shift for the company. 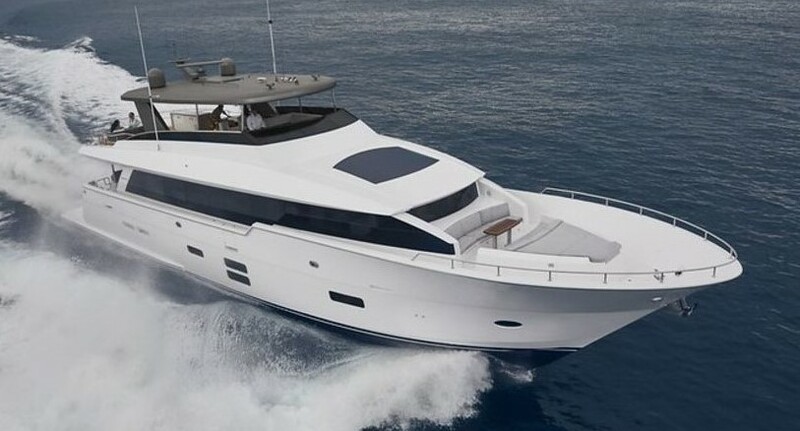 Built in Hatteras facility in, North Carolina, the 60 will be one of the only fiberglass production boats to feature tumblehome in the hullsides. It will also be the first Hatteras to feature a completely resin-infused hull, rather than one built up of layers of hand-laid fiberglass. The automated resin-infusion process produces a more uniform hull thickness from one hull to the next, as well as the most ideal glass-to-resin ratio possible. This one-two punch produces a boat that weighs significantly less because of the lowered resin content, while providing a more precise fit of bulkheads, stringers and other components for increased strength and durability. Currently lying dry-docking inside a covered shed and having been always shipyard maintained since its delivery, this Hatteras 60C is in impeccable condition, very clean and ready to be enjoyed by its next owner in a real "turnkey" status. New listing. More details coming soon.